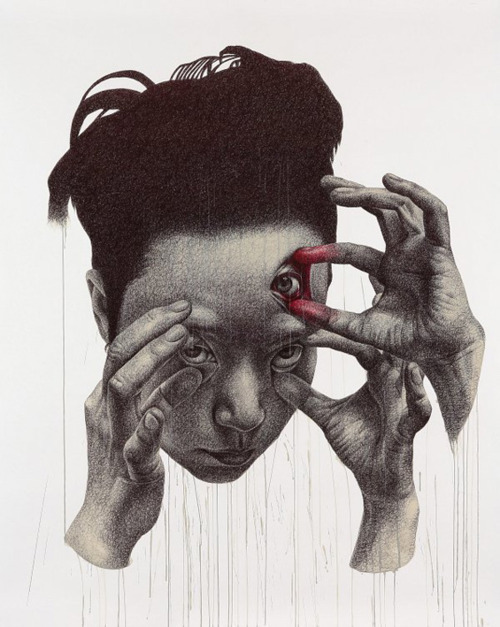 Beautifully Dark and bizarre hand drawn work from Seoul, Korea and New York based artist Seungyea Park (Spunky Zoe). Seungyea works by drawing circles with ball point pen and acrylic paint on acid free paper. 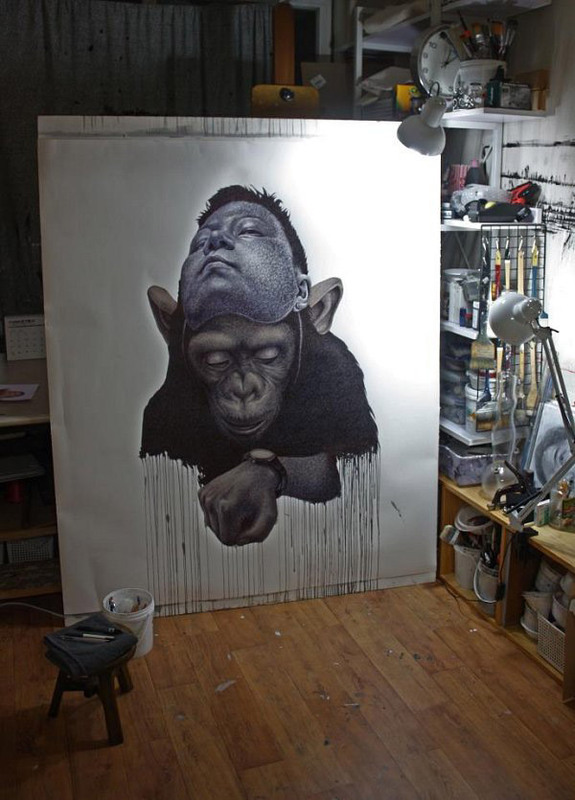 Have a look at the images below of her studio to get an idea of the scale of these pieces. 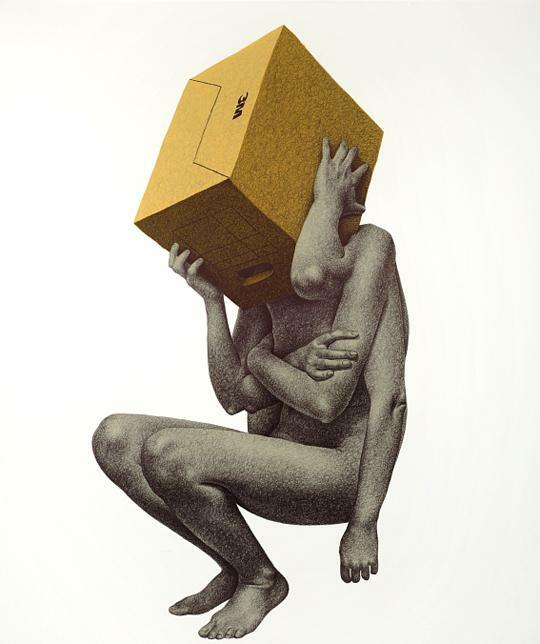 They’ll set you back $10,000 through Saatchi Online. Seungyea Park has exhibited her work in solo and group shows in Korea and the USA and most recently at the Dr. Park Gallery, Korea with artist Heemyoung Lee. Fantastic. Technical virtuosity sometimes leaves me cold but here its an essential part of the experience and message. Terrific! Hey david thanks for the comment, yeah that’s a really interesting point. 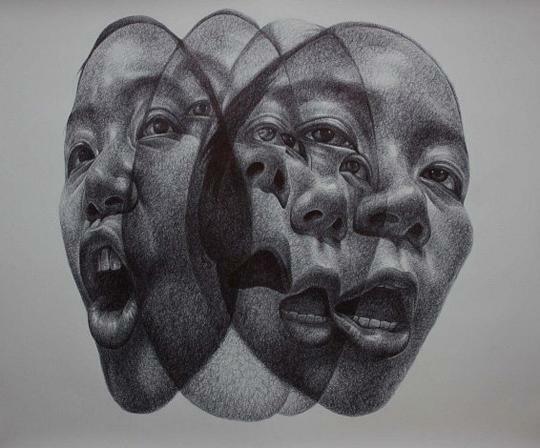 Her work really gives me the urge to pick up a ball point pen a draw. I think there’s something about her simple process of dots on paper and washes of acrylic that’s very understandable to me as someone who paints and draws. I always look at work and try to figure out how it was made or where the artist started but with Seungyea Park’s work the sublime nature of the subject gives another level to this experience. Sorry for sounding very waffly there! Hey, thanks for getting in contact! I’ve updated the links now. Really great to see the videos of how you work. Your work is amazing, let me know of any upcoming exhibitions and projects.